I’ve been a fan of face mists for a couple years now. (I’ve used this one and this one and love them both.) Recently, when I started looking at the ingredients in the mists, I realized this would be super easy to make at home. I customized the formula to my own preferences and it turned out super well. Today I’m here to share an easy recipe for making your own refreshing, hydrating face mist at home. 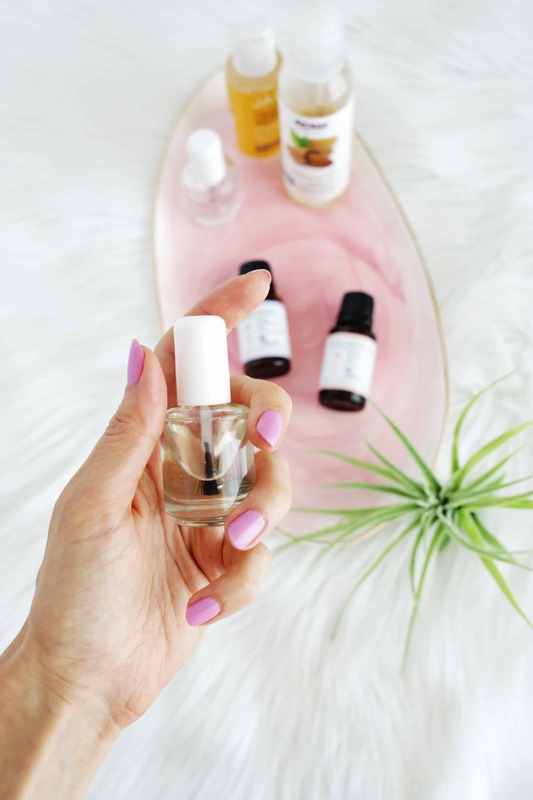 In a glass spray bottle, combine—2 teaspoons Pure Aloe Vera , 1 teaspoon Pure Vitamin E Oil , 1 teaspoon Pure Argan Oil , 4 drops Rose Geranium Essential Oil, 2 drops Ylang Ylang Essential Oil, 4 drops Peppermint Essential Oil, 6 tablespoons Pure Moroccan Rose Water. Next, fill half the remaining bottle with Unscented Witch Hazel Toner and then top it off with distilled water. Shake and spray. Other things I used—glass spray bottle (I used this one but on second thought a tinted bottle might be cuter since the oil and water do not mix, which my husband called “gross”. Here’s another good option. ), tiny funnel , distilled water. If you don’t have every single ingredient, it’s OK! You can tweak the ingredients list a little. It’s really not a big deal. Essential oils are kind of expensive if you only need them once, so I borrowed mine from a friend! Since this mist contains both oil and water, just shake it a little before you spritz! This face mist smells SO GOOD. I use mine in the morning (makes me feel more awake) and throughout the day I’ll do a little spritz if I want to add a little moisture on top of my makeup. As an added bonus, I’ve been using my new aloe and vitamin E oils on their own, just on my skin. So even though you do have to buy a bunch of ingredients to make this mist, it’s good to know that it’s stuff you can actually use anyway. Also you can use the ingredients to make refills for a long time, or make extras as gifts! Love this & I will definitely have to make for the fall & winter season. I use the Doterra oils every day & am very pleased with the product. What a great gift this would make. I use rose water mist every day. I’ve never made my own, but now I will. Ylang ylang and rose are the two loveliest floral scents on earth. I LOVE THIS! I work with essential oils to make soaps, lotions & scrubs… not sure how face mists never crossed my mind! Thanks for the inspiration! I love this idea. I’ve recently started making my own beauty products, DIY beauty, and it’s a lot of fun. I cannot wait to make this as I have been on the hunt for a nice facial mist. Very nice Elsie! I just wanted to say that if you have dry skin you will want to avoid rose and witch hazel as they are very very astringent and will dry out your face even more. You can also opt to use a natural emulsifier to help keep the oil and water blended. just make sure to blend the emulsifier with the essential oils first before combining with water! Love a good facial mist, vitmain E is so great for skin! The witch hazel will help to keep it good for a while, but just be carful with no preservative it can grow some bacteria as there is water in there. If you want the water and oils to mix, just add a bit of something called tween20 or 80 (polysorbate) its a sugar, and it makes oil and water mix, also attracts water to skin to help moisturise it – taadaa! I need a face mist so bad! Think this could be used to set makeup too! I love this tutorial! I really like using face mists but hate how pricey they can be sometimes. I’d much rather make my own at home. Thanks for sharing! I would choose to eliminate the Vitamin E as it makes my skin break out. I guess I would add more argan oil? I’ve heard so many good things about using rose water on your face! I’m going to have to try this! I’m not a fan of rose water but in the past I have mixed water and lavender oil (essential oil), next time I’ll add the vitamin E oil and aloe vera. Is simpler better for bacteria growth? Thanks for the info Molly! Seriously, I was just about to go buy face mist when I read this! Thanks for the inspiration! Awesome gift idea! Thanks for sharing ? This sounds really refreshing. I used to make all my own soap with essential oils, so, I love the smell of some essential oils.. a lot. Ylang ylang is quite potent, but, if used sparingly or mixed with other eo’s can be very nice. I miss making my soap and I miss the wonderful smells throughout my house, but, doing something like this that isn’t as time consuming would be nice. I’ll have to try this… my daughter would love it as I would! I wonder if you couldn’t use a different oil for scent, because I also hate the smell of rose (and ylang ylang) but love this idea. Hi Hannah, I have super dry skin. What would you suggest to replace the witch hazel in this recipe? Or do you know if another recipe that would be better for me? 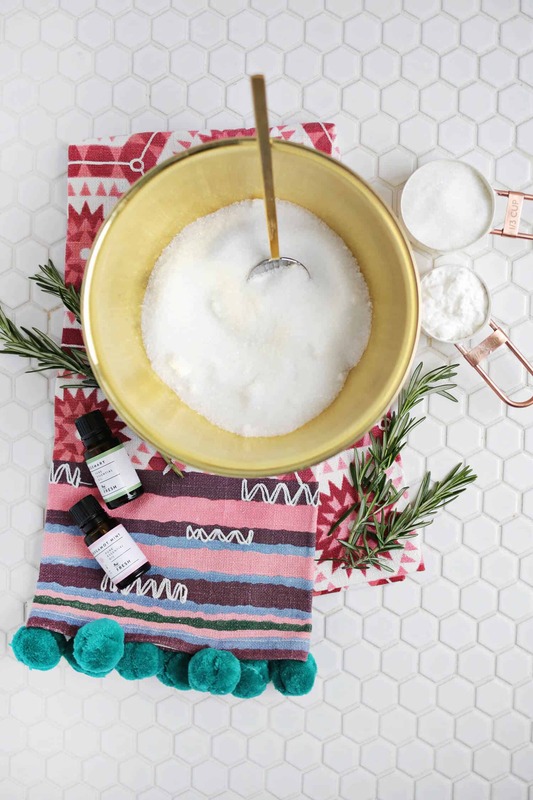 This sounds lovely and there are so many uses for so many of the products! I love this idea! It would make such a great gift! Thanks for the tutorial! jojoba and sweet almond are nice because they are non-greasy, absorb quickly and they mimic the natural oils/sebum that our skin and hair produce. you can get them at most health food stores like Whole Foods/ PCC etc or you can order them online at mountain rose herbs, which is the best company ! Being in the weddings trade I always look for fresh ideas to share with the brides that are our clientele. Just made this for our guest suite – thank you for sharing! Thanks for sharing. But I’ll replace argan oil with rosehip oil cause I don’t have it. It is very helpful and informative article. Thanks for sharing your experience with us! I am using facial mist spray products, because it really helps to moisturize my skin.